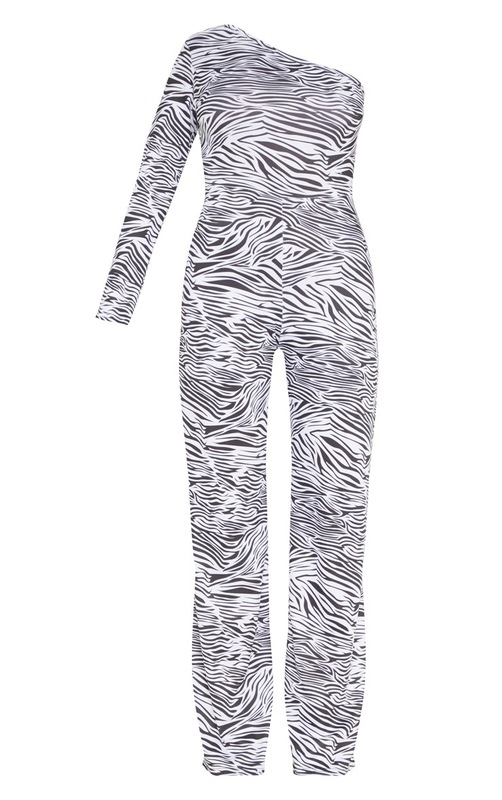 Earn your stripes this weekend doll with this show-stopping jumpsuit. Featuring a white material with an all over zebra print, a one shoulder design and wide leg fit. Team it with a white belt and a mini bag to complete the look.